Our corporate lawyers dealt with over 250 matters last year with average charges of less than £5,000.00 plus VAT. Our ability is to close deals on the best terms achievable. Company law expertise is taken as read. But, we also offer additional specialist skills in commercial property, tax, technology and employment law. Plus, we are geared up to be able to handle large or small transactions. We have a flexible team which can handle smaller transactions as well as the larger transactions. Our pricing is competitive and transparent. Cost indications are always provided in advance of incurring fees. We are always happy to give you a steer so please do call us to discuss your transaction. Business transactions. Deals values start at £150,000 plus deferred consideration. Structuring of MBOs working with either the management team or the shareholders leaving the business. Sales of all types of assets such as commercial property, leases, intellectual property and licences. Adoption of SPVs (special purpose vehicles) to undertake joint ventures. Implementation of demergers, spin offs and reconstructions of businesses. Negotiation of investment agreements on behalf of private investors or the business receiving investment. We do specialise in setting up tax efficient investments via SEIS/EIS. Taxation of share transactions including the provision of shares and options including EMI options to employees. We advise on all aspects of company law. Corporate law advice for start ups and high growth businesses. Buying or selling of businesses, whether share sale or asset sale. We work to your time-frame and have the resources to respond quickly. The service is flexible and can be scaled up or down depending upon requirements. We are not intimidated by a glossy address and an over staffed team on the other side. Your matter will be run by a partner who will be your contact throughout. We do have juniors but they do the prep in the background to fulfil the function of reducing your overall costs. You will have support on all aspects. Our clients tell us that this is just what they need during such a big event. 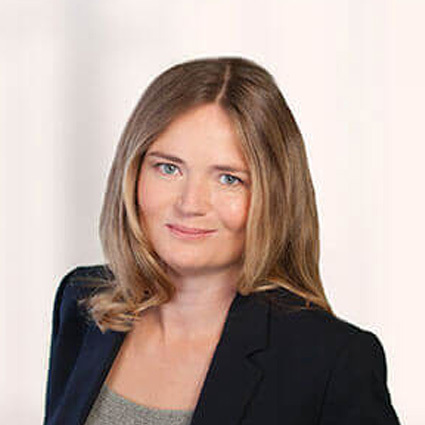 Dual-qualified in the UK and USA and a qualified solicitor since 1998, Helen is a partner and heads up the corporate team, advising start-ups, SME companies, partnerships, entrepreneurs, investors and shareholders. Call us on the number below or complete the form and one of our team will be in touch. Our concentration on entrepreneurs provides you with the experience needed. Our specialist firm with targeted focus areas will get you to the right place. Joint ventures remain popular as vehicles for collaboration and expansion. Find out about the 3 main legal ways of splitting a business.